CRAZY COOL GROOVY!!! 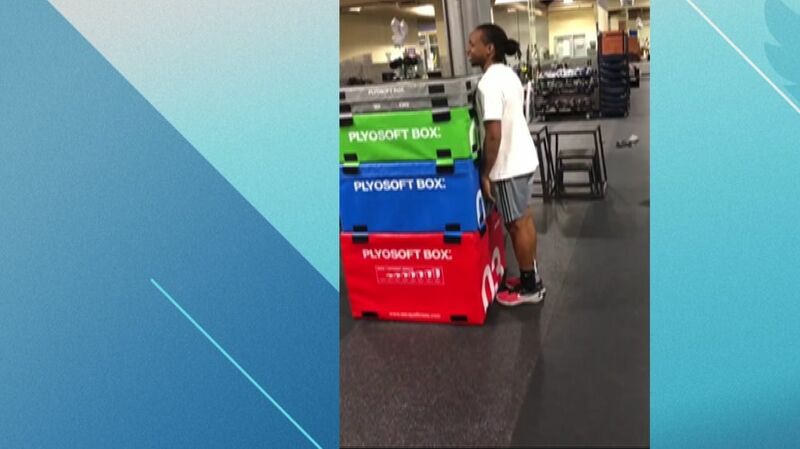 : Former WESTERN OREGON WR SUCCESSFULLY COMPLETES 60-Inch BOX JUMP!!! Former WESTERN OREGON WR SUCCESSFULLY COMPLETES 60-Inch BOX JUMP!!! After a 2-step running start, watch former WESTERN OREGON UNIVERSITY WOLVES Wide Receiver #88 WESLEY GRAY stick the landing on a 60-inch box jump!! !